Trying to explain the Christian doctrine of the Holy Trinity is like trying to pour the sea into a hole in sand, using only a small bucket. That bucket could never contain the whole mystery of the one God, who is Creator, Redeemer and Life-Giver. A child dug a hole in a beach. 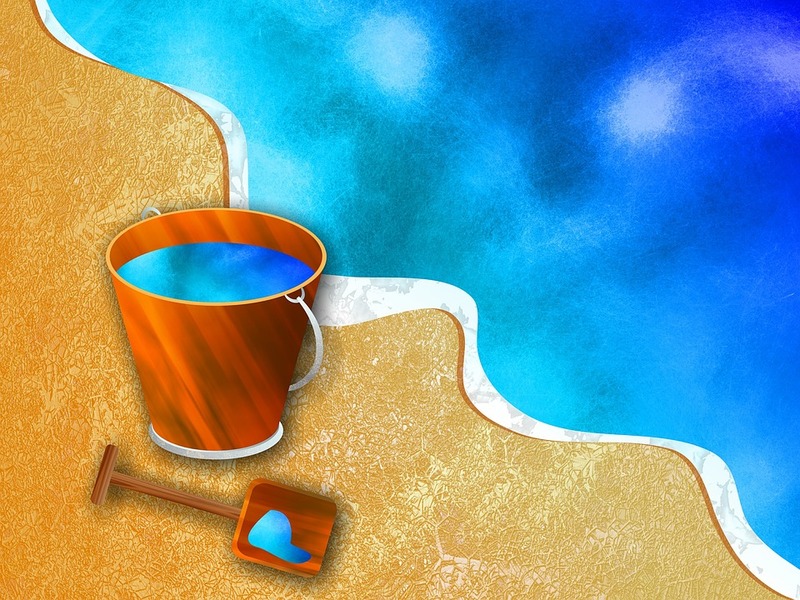 She ran to the sea, filled her beach bucket with water and excitedly brought it back to fill the hole. The water gradually seeped into the sand and disappeared. Undaunted, she went back for more. The same thing happened. Over and over again she ran to the sea, filled her bucket and poured water into the hole. In spite of all her efforts she discovered that she couldn’t fill the hole. The child began to cry. Her father comforted her and pointed out that the tide was coming in and this would change things. Her father helped her dig a channel towards the sea, so that with the incoming tide, the water would flow into the hole and fill it. Those of us who think about such things may get tired filling our minds with theories about God or about how to define Trinitarian doctrine. We may talk too much. I don't think we should stop trying to understand, digging the holes, filling the buckets. But we should also wait trustingly for God, knowing God in love comes to us. Trying to understand the Trinity is like trying to pour the sea into a small hole that could never contain the mystery of the one God in 3 persons. But praise God, Father, Son and Holy Spirit, that God the Holy Trinity is beyond you, beside you and within you as One who understands and loves you. Perhaps that is all we need to know - not in our heads but in our experience.